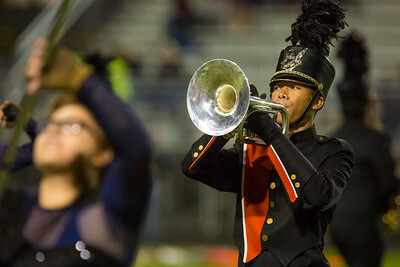 Daryl Quitalig - For Shaw Media McHenry sophomore mellophonist Billy Thorne solos The Beatles, "Hey Jude" to begin the Marching Warriors' halftime routine at McCracken Field in McHenry on Friday, Sept. 23, 2016. The Warriors won, 33-28. 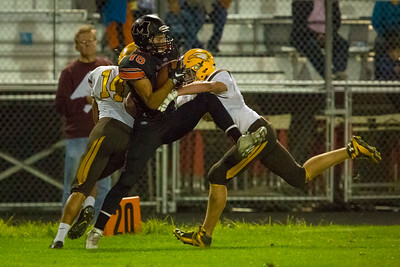 Daryl Quitalig - For Shaw Media McHenry wide receiver Braden Crowley (18) makes a reception during the football game at McCracken Field in McHenry on Friday, Sept. 23, 2016. The Warriors won, 33-28. Daryl Quitalig - For Shaw Media Jacobs quarterback Christopher Katrenick (2) runs the ball in the fourth quarter of the football game at McCracken Field in McHenry on Friday, Sept. 23, 2016. The Warriors won, 33-28. 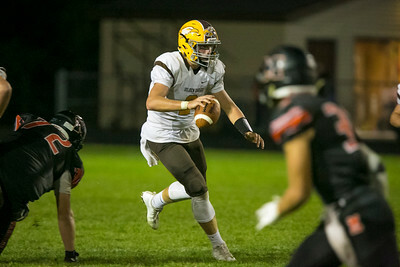 Daryl Quitalig - For Shaw Media McHenry quarterback Colton Klein (6) passes the ball during the football game at McCracken Field in McHenry on Friday, Sept. 23, 2016. The Warriors won, 33-28. 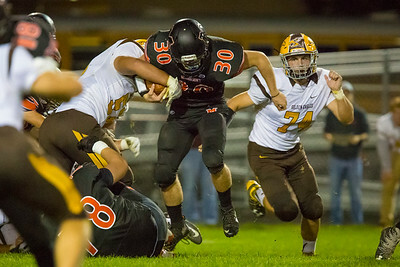 Daryl Quitalig - For Shaw Media McHenry running back Michael McManus (30) runs the ball during the football game at McCracken Field in McHenry on Friday, Sept. 23, 2016. The Warriors won, 33-28. 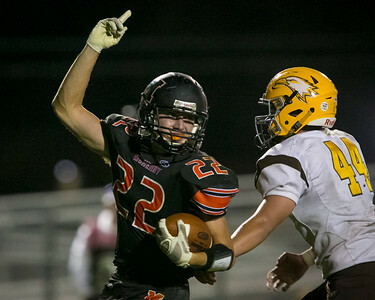 Daryl Quitalig - For Shaw Media McHenry running back Giovanni Purpura (22) celebrates after a 5-yard touchdown in the fourth quarter of the football game at McCracken Field in McHenry on Friday, Sept. 23, 2016. The Warriors won, 33-28. 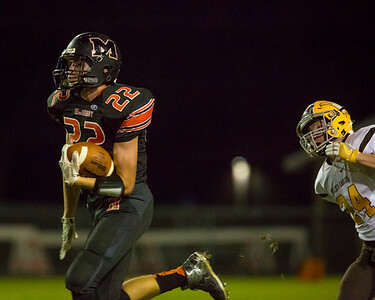 Daryl Quitalig - For Shaw Media McHenry running back Giovanni Purpura (22) runs past Jacobs linebacker Steven Bellefontaine (24) on a 75-yard touchdown run in the second quarter of the football game at McCracken Field in McHenry on Friday, Sept. 23, 2016. The Warriors won, 33-28. 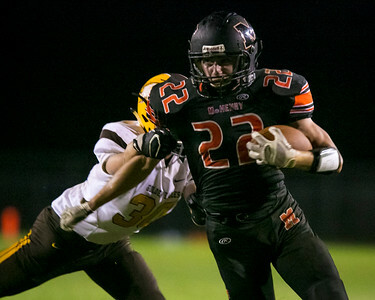 Daryl Quitalig - For Shaw Media McHenry running back Giovanni Purpura (22) runs the ball during the football game at McCracken Field in McHenry on Friday, Sept. 23, 2016. The Warriors won, 33-28. 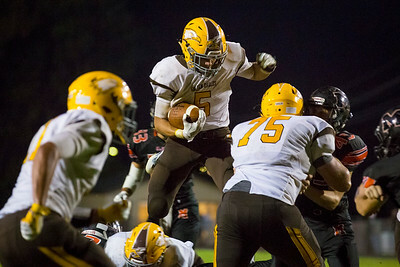 Daryl Quitalig - For Shaw Media Jacobs running back Loren Strickland (5) hurdles over players on a run in the fourth quarter of the football game at McCracken Field in McHenry on Friday, Sept. 23, 2016. The Warriors won, 33-28. 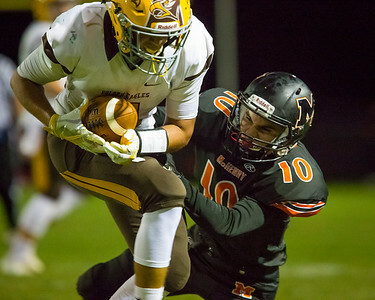 Daryl Quitalig - For Shaw Media McHenry cornerback Kyle Wheat (10) tackles Jacobs' wide receiver John Farrissey (11) during the football game at McCracken Field in McHenry on Friday, Sept. 23, 2016. The Warriors won, 33-28. 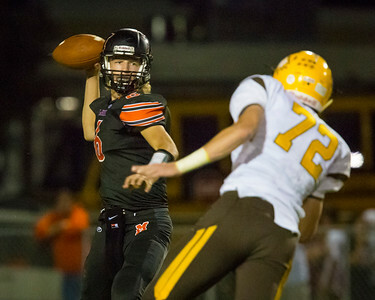 McHenry quarterback Colton Klein (6) passes the ball during the football game at McCracken Field in McHenry on Friday, Sept. 23, 2016. The Warriors won, 33-28.